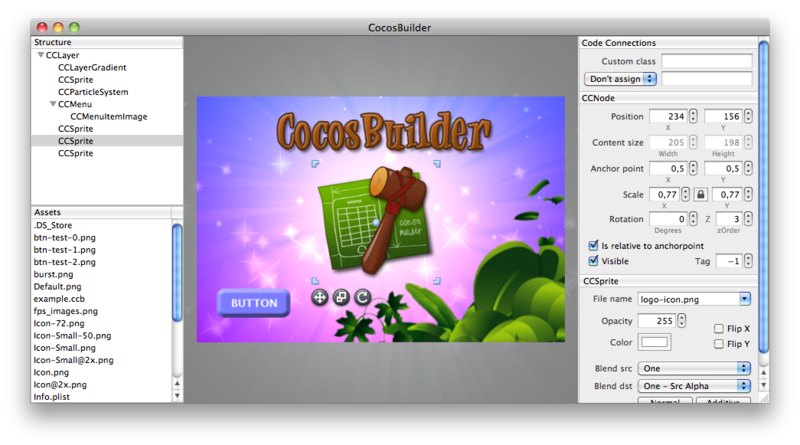 CocosBuilder is a free graphical editor for building scene graphs in Cocos2D (iPhone & Mac). 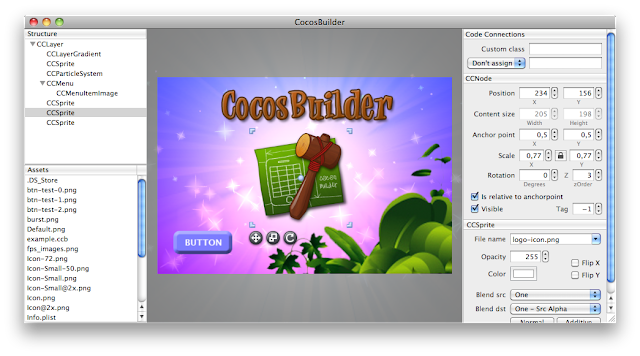 With CocosBuilder you can visually layout your objects and load them with a single line of code. Check out the CocosBuilder webpage for download.